Kindle And Me...: Autographed Copies and E-Book Copies of Ashley Fontainne's 'Accountable to None' Giveaway! Autographed Copies and E-Book Copies of Ashley Fontainne's 'Accountable to None' Giveaway! 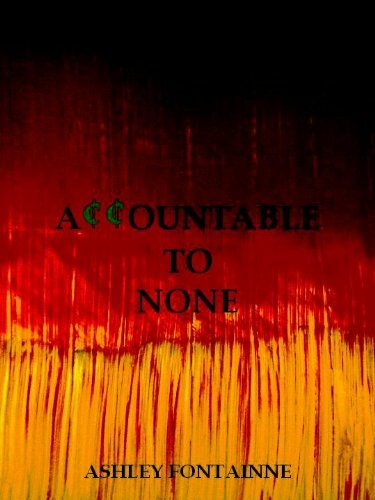 Accountable to None by Ashley Fontainne. Just found your blog and started following. Looking forward to reading your reviews! Thanks! :) I'll def check out your blog too! Wow, powerful trailer. Best of luck with your book! S.G. Rogers, thank you for the comment about the trailer! Loved the book trailer. The book sounds very interesting. Good luck Ash! Trying to make me feel nervous before my radio interview! Author of "Kill Me Now!" Thank you for the giveaway! It looks very exciting. Your trailer was great. Thanks for the opportunity to win a signed copy of A2N! Can't wait for the release of your sequel!